Get Ready For The Long Haul! We honor and name this special flight leg for Air Service Hawaii – your support is appreciated! 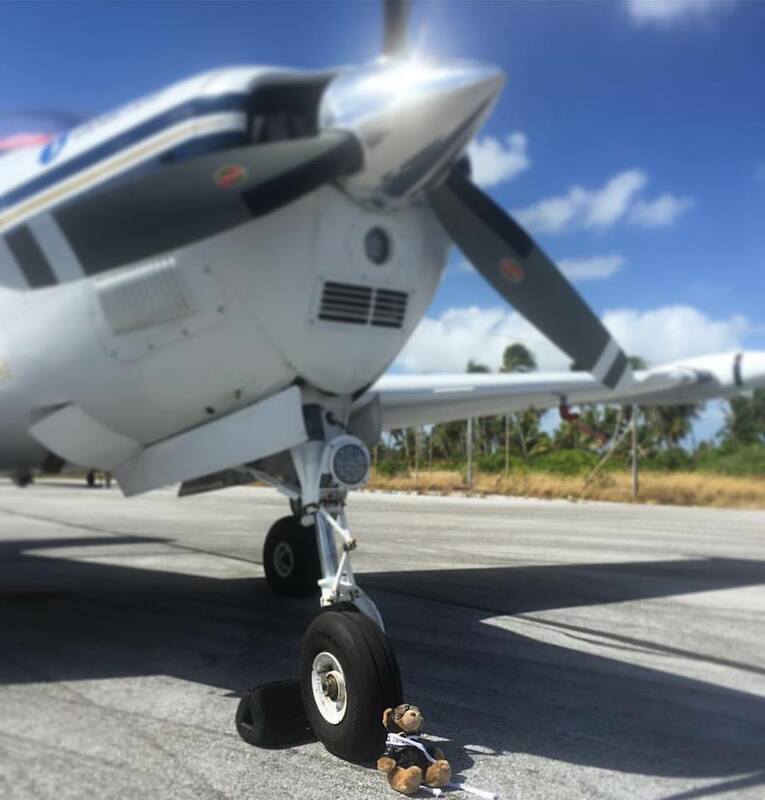 Shaesta and her co-pilot, Charlie (the teddy bear), are getting ready for the longest leg of the mission. They will soon be crossing the rest of the Pacific Ocean to the next stop in California. The trip will be over 2,000 nautical miles and take 14-16 hours. It takes extensive planning and work to prepare for this long haul but Shaesta is ready! 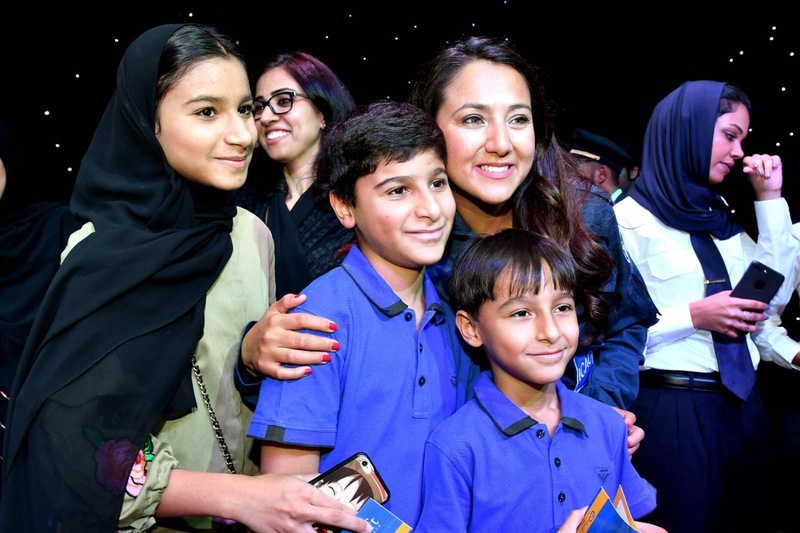 The last month of our Global Flight For STEM will take place throughout the contiguous U.S. where Shaesta will continue inspiring the next generation at the final stops on her journey. Dreams Soar would like to thank everyone who supported Shaesta’s stay in Pago Pago, American Samoa. A special thanks goes out to David Vaeafe, Executive Director of the American Samoa Visitors Bureau, for going above and beyond with his help on lodging, meals, and transportation. Thank you for making dreams soar! Important Dates For Our Dreams Soar Family! 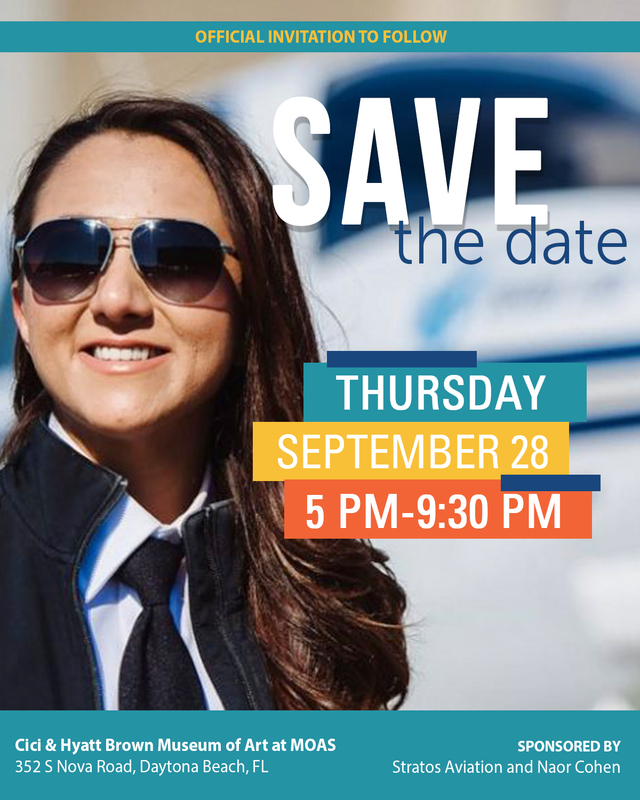 Come join us to celebrate the return of our Founder, President and Pilot, Shaesta Waiz, at the Cici & Hyatt Brown Museum of Art in Daytona Beach! RSVPs not yet accepted. Official link to event RSVP coming soon on our media platforms! The inspiration will never stop! 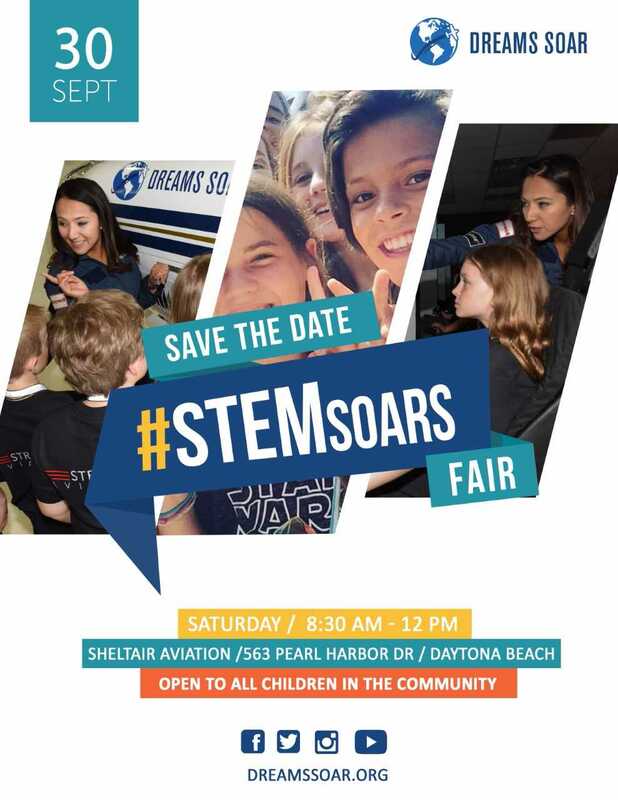 Join us for a #STEMsoars Fair, led by Dream Team members Naia Butler-Craig and Linda Hall, at Sheltair Aviation Services located at the Daytona Beach International Airport on September 30! This event will bring local children together to explore different aspects of STEM and aviation with a special appearance from Shaesta! RSVPs not yet accepted. Official link to event RSVP coming soon on all our media platforms! Check out page 22 in Women in Aviation International’s special Aviation for Girls magazine, for Girls in Aviation Day 2017, where Shaesta and the Dream Team were recognized for her accomplishments thus far! Thank you Women in Aviation International for helping us to inspire girls everywhere! Maya Rodgers is the President and CEO of Blue Planet Software. Blue Planet Software is the company behind the Tetris saga and many other popular video games such as Black Onyx and Yoshi’s Cookie. Maya Rodgers has been leading the worldwide Tetris business since 2007 and assumed the position of CEO in 2014. Before taking Tetris by storm, she innovated and developed cross cultured tactics for Tetris Online China, Sony Computer Entertainment America and American Honda. In 2012 Maya co-founded Blue Startups with Henk Rodgers to change the world’s perception of Hawaii. The aim of the company is to reveal Hawaii as a blooming business hub for technology rather than just a place for tourism. Blue Startups helps small businesses start up and grow to their full potential. Partnered with Blue Startups and heading Blue Planet Software, Maya Rodgers is soaring through the software and business world. Shaesta experienced Hawaiian hospitality upon her arrival in Honolulu! Air Service Hawaii, the state’s friendliest FBO since 1948, lived up to their reputation with stellar support. 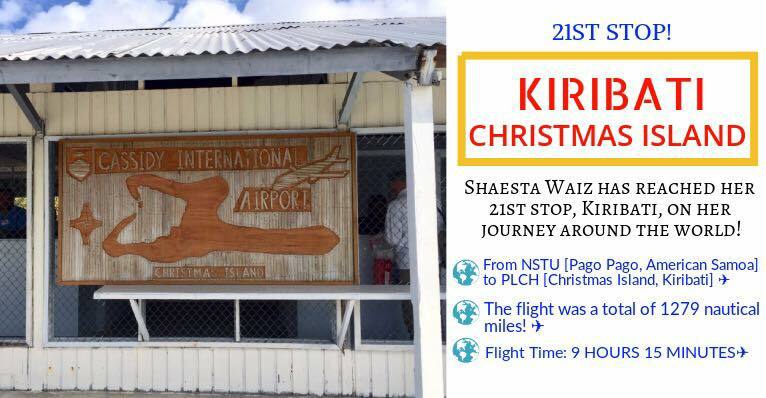 Shaesta was greeted by first class line service technicians and customer service representatives after a long 1253 nautical mile and nine hour flight. 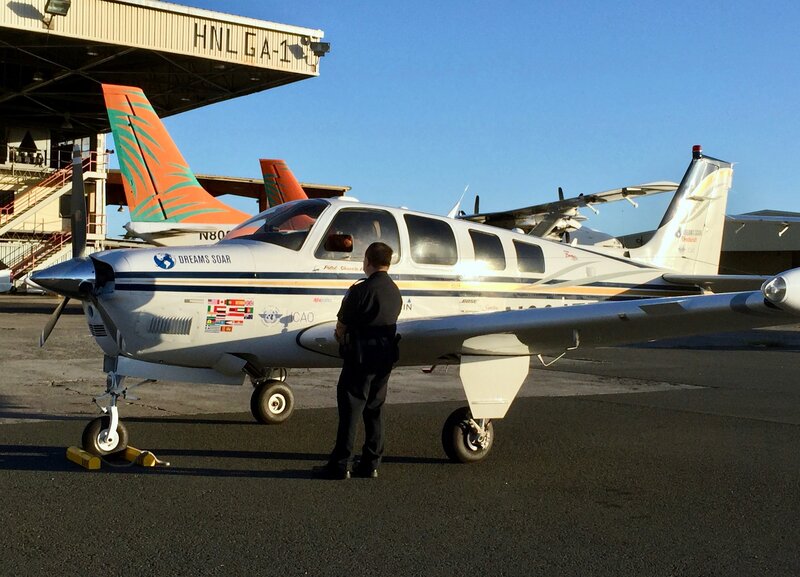 Dreams Soar would like to give thanks to her host, Annie Domko, and the entire team at Air Service Hawaii, especially Mi Kosasa, Jan Bodinus, and Harleigh Knoll. Thank you for your professionalism, Air Service Hawaii! 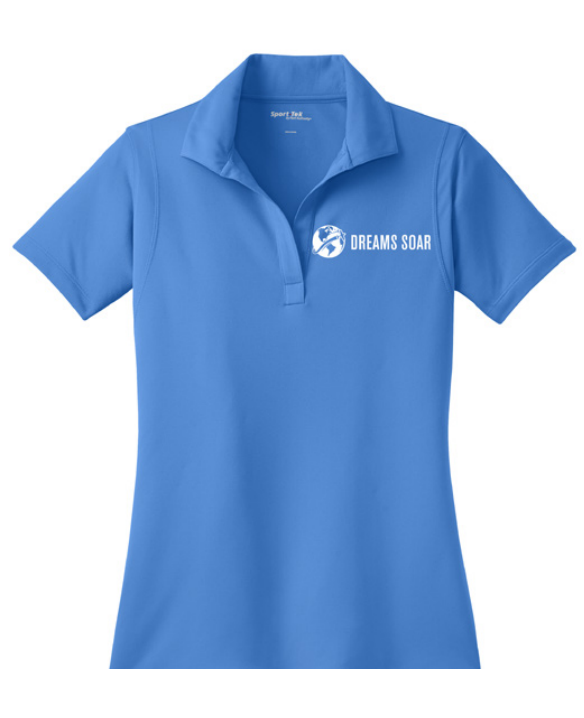 We appreciate your support of the Dreams Soar mission! Angela Taylor, once a Human Resources pro, is now a part of Google’s programming team without even obtaining a programming degree. Through helping the HR department at Google with small coding projects, Angela developed a love for the skill. A project called the “20% project,” allows Google employees to utilize 20% of their work time to a project of their choice. Angela Taylor decided to learn basic coding languages during her 20%. Now she works full time as a Google software engineer!